Hi chaps! 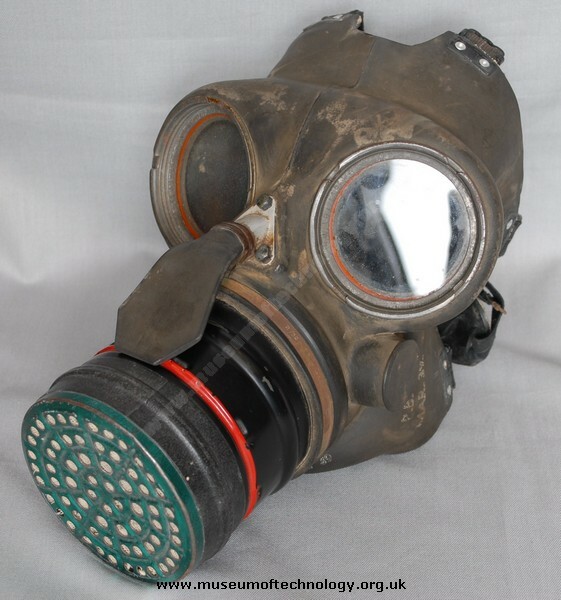 I buy at car-boot sale identical gas-mask like this one on the photo. On my respirator We can see a lot of stamp from the factory. Producer: "Siebe, Gorman & CO. LTD. Makers, Neptune Works Tolworth", "Home Office Certification", "Cyvilian Duty No. 3", "C.D". hour. No replacements cannisters were carried. The gas mask carried in a light grey canvas type bag.